Jerry Alan Fodor (born 1935) is an American philosopher and cognitive scientist, developed, in particular, the concept of multiple realizability arguing for nonreductive physicalism. Jaegwon Kim (born 1934) is a Korean American philosopher, in his works he, in particular, posed the famous exclusion problem arguing against nonreductive physicalism. 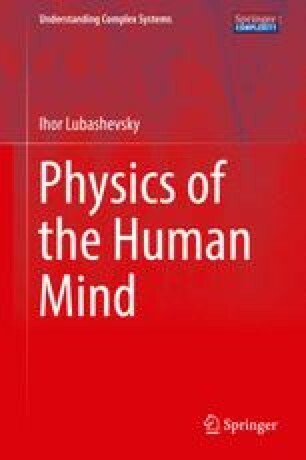 Their contradictory points of view on the relationship between mental phenomena and the corresponding physiological processes have initiated ongoing debates in the philosophy of mind and are significant for the problems under consideration in the present book. So in this chapter we elucidate the basic ideas proposed by Fodor and Kim and discuss a way to overcoming their contradiction I call the Fodor-Kim dilemma.